Asian Pacific Heritage Month is kicking off in San Francisco with the Taiwanese American Cultural Festival. 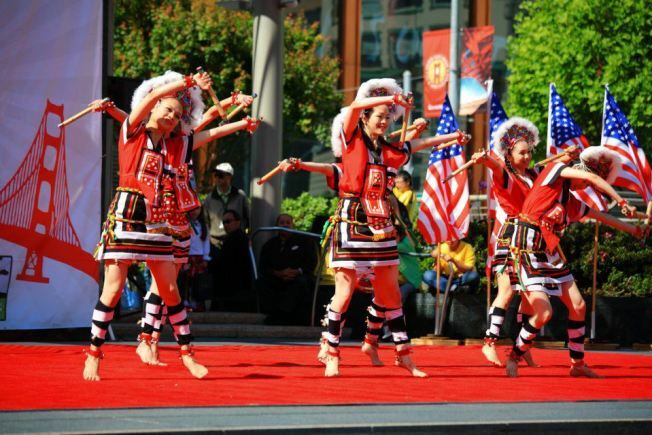 The West Coast's largest Taiwan-event starts its 22nd year in Union Square on May 10, 2014. Festival attendees will have the opportunity to enjoy this free event filled with vibrant music and dance performances, sample Taiwanese delicacies and partake in a variety of arts and crafts activities. The Taipei Folk Dance Theater, Taiwan’s world-renowned, professional dance company will take to the stage. Rising stars, including Johnny Hi-Fi of MTV China fame and singer-songwriter Cynthia Lin will also perform. Started in 1992, the festival has grown into a yearly landmark event for the Bay Area Taiwanese American community, drawing thousands to San Francisco’s Union Square to celebrate the start of Taiwanese Heritage Week and Asian Pacific Heritage Month.